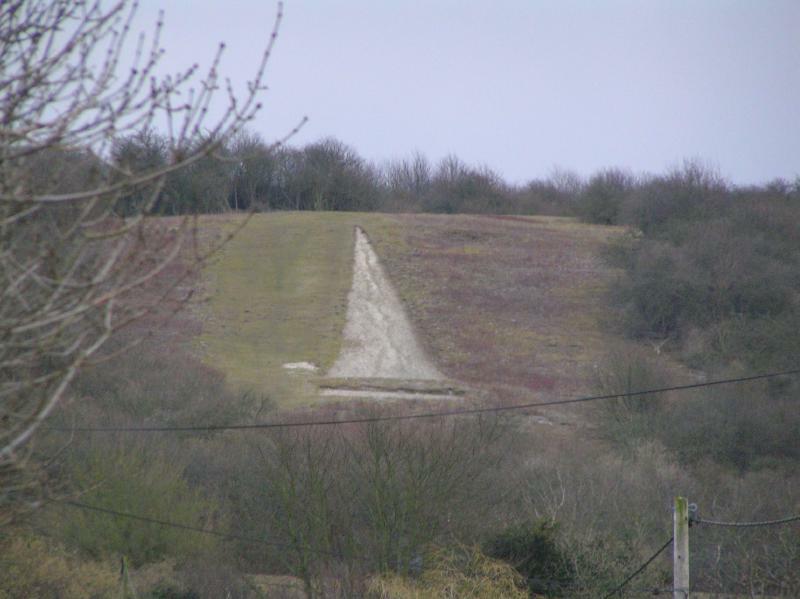 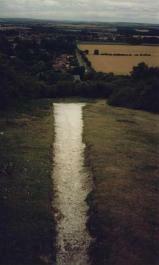 This unusual figure is located on the WNW face of Watlington hill 1/2 mile outside Watlington on the right hand side of the Christmas Common road. 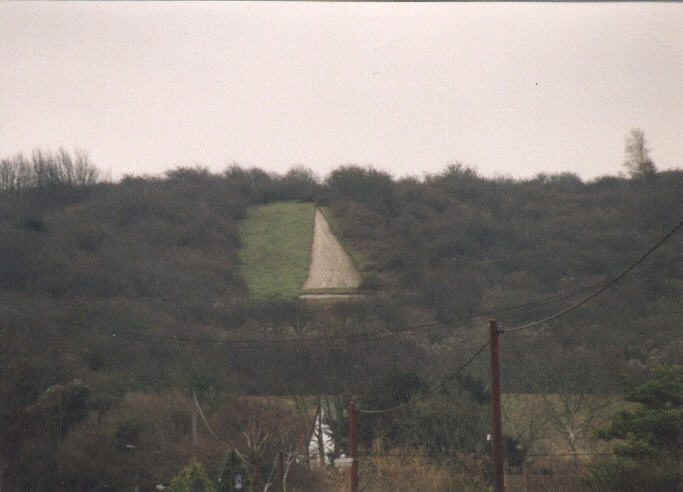 From Watlington follow signs for the Hospital, the best view is from just passed the Hospital along this road to where the Ridgeway / Icknield way crosses. 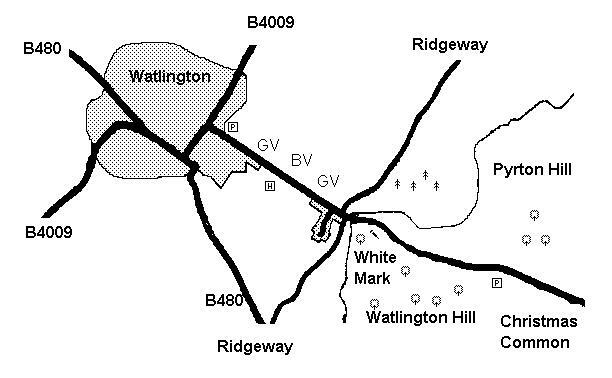 The figure can be accessed from here although parking is on the top of the hill in the National trust car park. The short walk is a pleasant one, dropping onto the top of the figure on a gentle slope at about 175m. 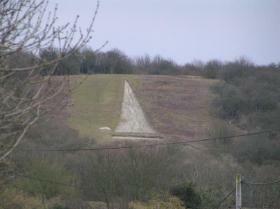 This overlooks Didcot power station and the Thames river plain to the west and the Vale of Aylesbury to the North. 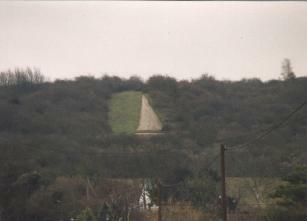 The tall triangular figure 192’ tall and 31’ wide with a separate rectangular base (31’ by 17’) 7’ below the triangle. 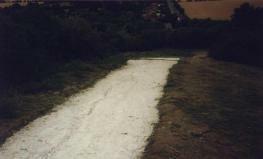 The mark is in very good condition, with little erosion or made of solid compacted chalk cut 10-15cm into the turf. 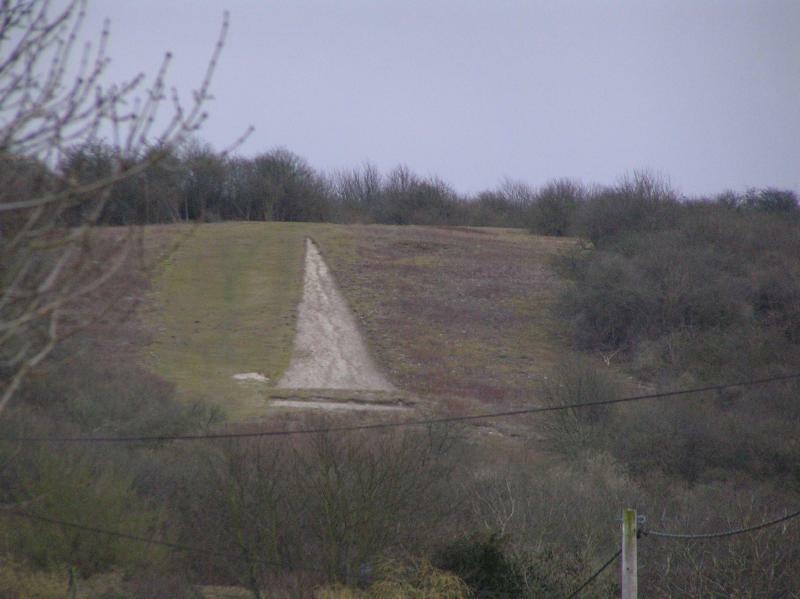 This was cut in 1764 by Edward Horne and believed to be an estate marker, although some think that is a phallic symbol. 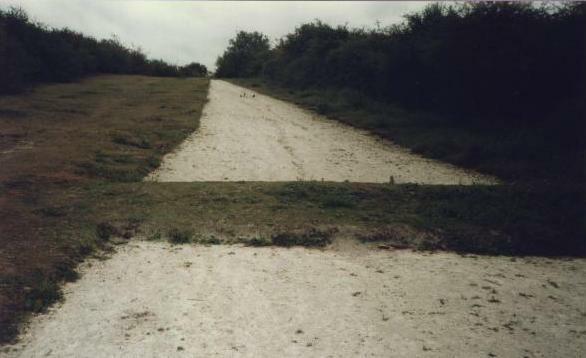 Disreputing theories that this figure was of a similar period to the Bledlow and Whiteleaf crosses.